We hope you agree that more customer feedback is better, but how could we increase the amount of collected ratings?” It is clear that users don’t like surveys and web forms in general. Therefore, we were curious as to what would happen if we recorded the rating right after customers clicked on the rating link. The result exceeded all our expectations – in a short testing period we collected 236% more ratings! 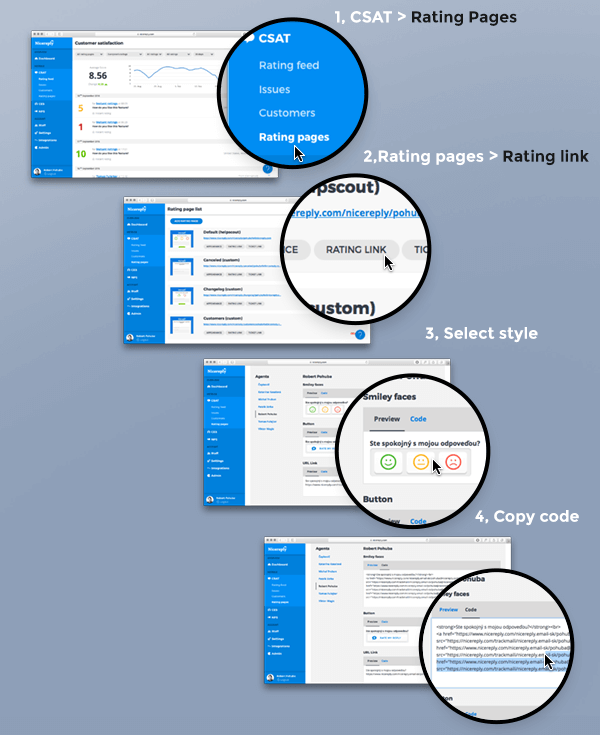 Nicereply offers several forms of rating links. Some kinds of rating links contain an explicit statement of customer satisfaction (e.g. three smiley faces). If you look closer, you will find that URLs behind smileys contain the special parameter “s”, with a value on a scale from 1 to 10. This “s-parameter” enables the magic of instant ratings feature. 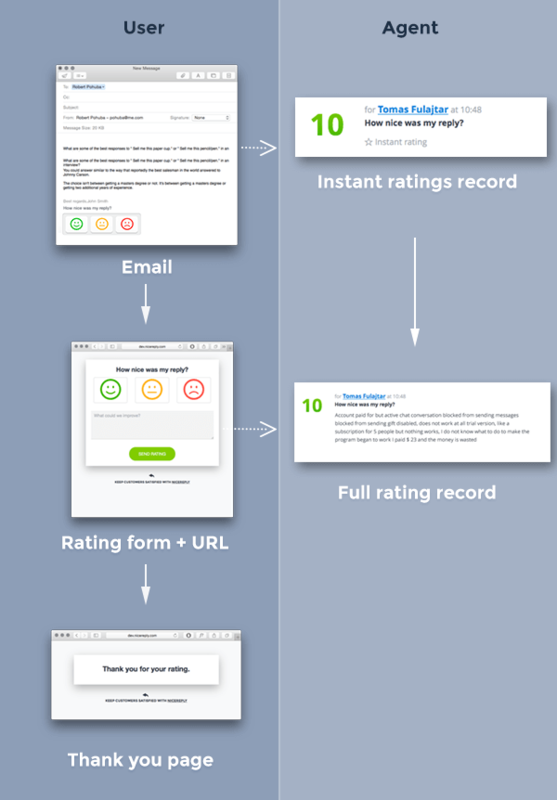 Immediately after the customer clicks on the rating link with the “s-parameter”, Nicereply will save the customer's opinion and display your rating survey form. The customer is not aware of this feature, but if she/he doesn’t have time to fill in the form, you will not lose her/his opinion about your service. If the customer fills in and submits the form, we will merge all data with the already captured instant rating into a standard rating. We are amazed by the growth in collected ratings, but you may not share this excitement. If you don’t like the instant rating feature, you can disable instant ratings in the setup of the rating survey.